Is it possible that you could get your hands on a platinum credit card with less than perfect credit? While this sounds like a dream, the Indigo® Platinum Mastercard® Credit Card is out to prove you wrong. This offer is designed specifically for people with bad credit or no credit – all the while providing the cardholder with a large number of high level benefits and features. The Indigo® Platinum Mastercard® Credit Card isn’t the only offer for consumers with less than perfect credit, but it’s definitely one of the best. All activity is reported to the three major credit bureaus, allowing you to use the card to establish or rebuild credit. Issued by Celtic Bank, an FDIC-insured financial institution, you can be rest assured that you’ll be treated as a valued customer. With 24/7 online account servicing, you’ll always be up to speed on where things stand with your credit card activity. And of course, if you have a question, you can always reach out to a customer service representative for clarification. 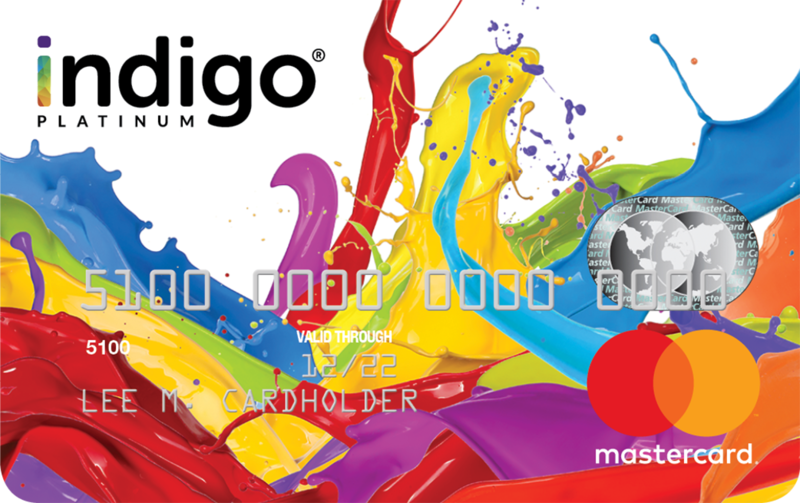 Note: the Indigo® Platinum Mastercard® Credit Card is not a pre-paid credit card. It’s the same as a traditional card, with the only difference being that it’s designed for people with bad credit or no credit. Despite the fact that the Indigo® Platinum Mastercard® Credit Card is designed for people with less than perfect credit, Celtic Bank cannot guarantee your approval. Fortunately, due to the less stringent eligibility requirements, there’s a good chance you’ll qualify. Once you complete the online application and agree to receive the credit card, it should arrive via mail within 14 business days. A benefits guide will be included with your card, which explains the many features and how to take advantage. Note: at this time, you are only able to apply online (visit this link). If you have any questions, you can call 1-866-946-9545 before completing the application. There are many credit cards for people with bad credit or no credit, but the benefits and features of the Indigo® Platinum Mastercard® Credit Card allow it to standout from the crowd.